As of 2012, I was joining my best-friend @kikiaddict to build a shoe brand. We were working as two different persona with different interest and style. So we kinda want our brand to mirror that. After few hours brainstorming, we found “Kumi” as perfect word for our brand. Kumi is a Japanese word, perfect because we both met while studying Japanese. And Kumi in Japanese means “a pair” which represent us very well. 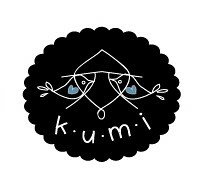 Kumi also means “beautiful” & “eternal,” two of the things we wish our brand will be. We got the name, next..is to figure how the logo’s gonna be like. And still a strong Japanese lover at heart, we decided to use another Japanese legacy. Kanji. Basically, Kumi‘s logo made of two onna (女) kanji facing one another. And the rest follow as strong statement to beauty, freedom (birds) & eternal (heart). I made the logo in two variant for flexibility. 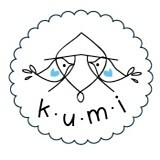 Kumi is brand created by a pair of ladies with different style & persona. Like twins, although growing up together they bear different kind of interest. in Kumi, the different is where rena love simplicity, basic & earthly tone. While kiki love to add stylish heels, glamour color & a touch of femininity. Kumi in Japanese means “a pair” as well as “beautiful” and “eternal” two of the things we wish our brand will be. Kumi is also a brand for comfy. Made with love and passion for good wear, good design, and friendly service.